Improved Initiative: Is Valeros Mad Martigan Reborn? You always remember your first exposure to fantasy. For older gamers it was often reading The Lord of the Rings, and for younger gamers it was seeing the theatrical version of Tolkien's classic trilogy. For me there was a particular movie I watched and re-watched until the tapes went wonky and I had to get a replacement; that movie was Willow. For those who haven't seen it the title character, played by Warwick Davis, has to protect and safeguard a human baby with a great destiny. He evades murderous knights, wicked magic, and an evil queen, coming out ahead through guile and cleverness. While Willow himself is a character a lot of viewers identify with, my favorite character was Mad Martigan. 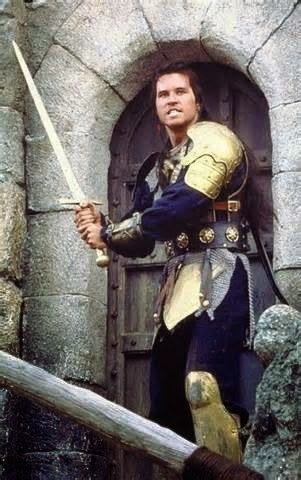 Played by young Val Kilmer, Martigan was a deadly swordsman with a stained past. While he filled a support role his journey from dangerous thug to noble warrior was infinitely more compelling to me then (and if I'm honest now) than watching Willow do his thing. Helped that he looked pretty badass. That image above is what happened when Martigan set up a last stand at a mostly abandoned castle, taking the armor of a dead king and drawing his sword for one last battle. Pretty epic, no? It also looks kind of familiar if you're a fan of Pathfinder. Trying to figure out where you've seen it before? 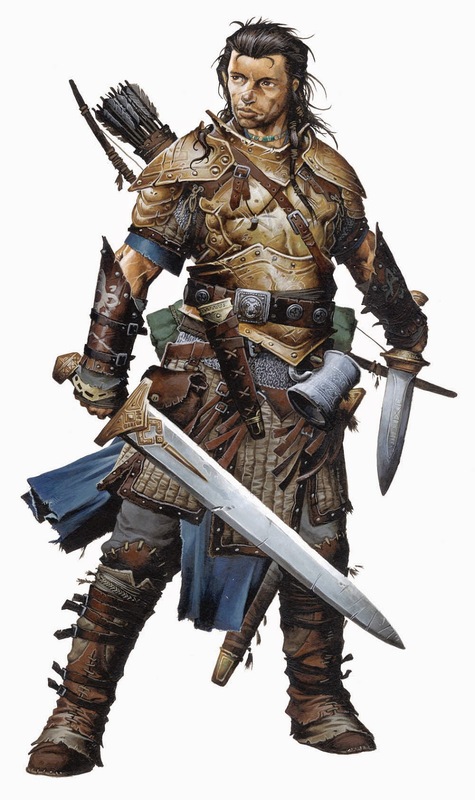 This is Valeros, the iconic fighter from Pathfinder. In case the Val didn't give it away, look at the hair and the color scheme. Once you've seen it you won't be able to unsee it, so have some fun and show this page to your gaming group. See who knew, and who face palms as they realize they've been missing this (possibly intentional, possibly not) reference for years. As always thanks for stopping by Improved Initiative, and if you'd like to keep this blog going then stop by the Literary Mercenary's Patreon page and consider becoming a patron today! If you want to make sure you get all of my updates then you should also follow me on Facebook and Tumblr as well! It's a pleasure to bring you the best gaming content I can devise, and if you want to see more of something don't be afraid to send me a message and say so!